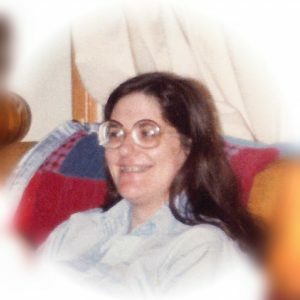 Janet Potter Lardas, aged 59, lost her battle against cancer on January 10, 2018. She died surrounded by her three sons, while holding the hand of her husband of 40 years. Janet was born May 4, 1958 in Ann Arbor, Michigan. Her parents were William H. and Gertrude B. Potter. She met Mark Nicholas Lardas while both were in the same high school, started dating while in college at the University of Michigan and married on May 7, 1977. While not born in Texas, both got here as soon as they could, in 1979 when Mark took an engineering job on the then-new Space Shuttle program. She soon took a job supporting the Shuttle program as a mechanical assembler. She built four experiments which flew aboard LDEF, becoming the only member of her family to get something into space. Having accomplished that, she left the program to have and raise three sons, Nicholas, William and Benjamin with her husband Mark. She transitioned from mother to educator, homeschooling her three sons. All three went on to become successful engineers launching off the educational foundation she provided. She was a talented and creative individualand an avid gardener, whose activities included woodworking, quilting, cooking, needlepoint, and all manner of knitting and crocheting, leaving an enduring legacy fo quilts and knit work for all of her loved ones to remember her by. Janet was a loving wife a devoted mother, and a caring friend. She was never happier than when she could make others happy. Janet was preceded in death by her mother, Gertrude Jane Potter. She is survived by her husband, Mark Lardas, her father William Henkel Potter, her brother Paul William Potter, her three sons, Nicholas Kyle Lardas, William Mark Lardas, and Benjamin John Lardas, her daughter-in-law Pilar Mondragon Lardas, and numerous cousins, and in-laws. Janet was hoping to hold her first grandchild in July. Her relatives and friends will miss her deeply. A visitation was held from 5:00 to 8:00 pm Friday January 12, 2018 at Crower Funeral Home in Webster Texas. A funeral service was held at St. John the Theologian Greek Orthodox Church at 10:00 am on Saturday January 13, 2018 followed by interment at Mt Olivet Cemetery in Dickinson, Texas. Dear Mark, Nick, Bill, and Ben, we will never forget your wife and mother. I own a quilt in which she had a hand, made by the quilt group Jan and a bunch of us “Lockheed moms” formed in the 1980s. We made many group quilts, and each of those contained squares and stitches by Jan’s hand. Jan had great strength, which sometimes went unnoticed by those who only knew her superficially. She had great faith, and great love. She was a very talented person, and would happily share her knowledge with others. We watched her raise you boys, and saw you grow into fine young men. We watched her love you, Mark, and admired her fortitude with you through several trials. Jan will be remembered with great love, lots of laughter, and with warm “hugs” known by others as quilts. I will always think of Jan with a smile. I will miss her terribly, but knowing she is in Heaven, I also am sure I will see her again one day. I’m looking forward to hearing about how she taught the angels to knit and crochet. Sending condolences from the whole team at WheelTug. Mark, I never had the honor of meeting Jan but I certainly got to know the depth of love you have for her and of the impressive children the two of you raised together. It is my hope that her example will inspire all those who knew her and that her positive impacts will ripple through our world for many years to come.